To the Aztecs, it was Tonatiuh. To the Mesopotamians, it was Shamash. In Hinduism, it is known as Surya. To the Chinese, it is Ri Gong Tai Yang Xing Jun, the Star Lord of the Solar Palace, Lord of the Sun. To the Roman Republic and later Roman Empire, it was Sol Invictus, the Unconquered Sun. These and countless other deifications of the Sun throughout time embody the life-giving energy or soul-scorching judgment that represent the dual nature of our solar system’s central star. Each second of every day, the Sun consumes more than four million tons of matter and converts it into solar radiation and neutrinos. This immense energy has the power to produce life through photosynthesis, heat, and weather, or destroy life via the poverty or overabundance of those same functions. Even at a distance of approximately 93 million miles from Earth, the fate of life on our planet and the planet itself are inextricably linked to the Sun. 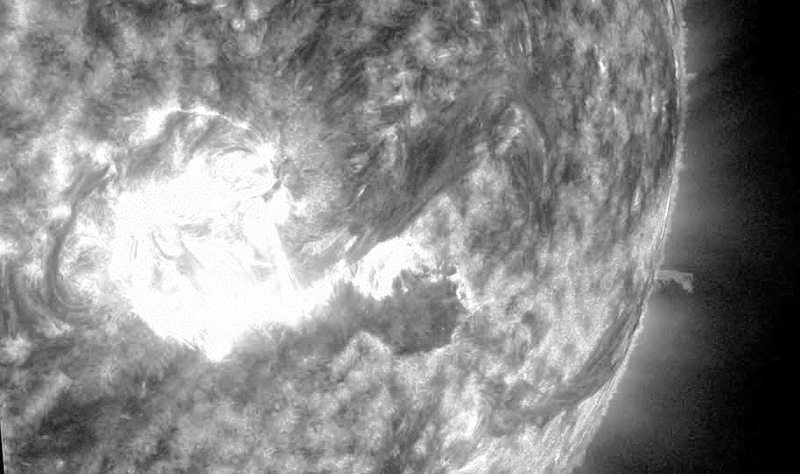 As the Sun ages and burns its hydrogen fuel at an increasing rate, its diameter will expand in size and its luminosity will increase. 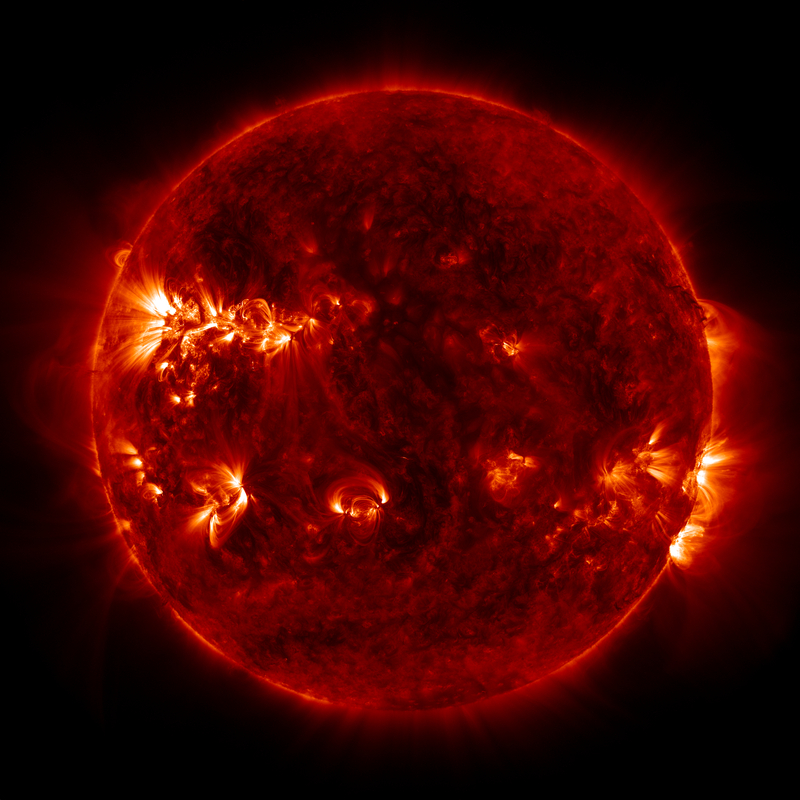 Current computer models indicate that the increased heat and radiation will at last consume the planets Mercury, Venus, and Earth as the Sun transitions from a yellow dwarf into a red giant. 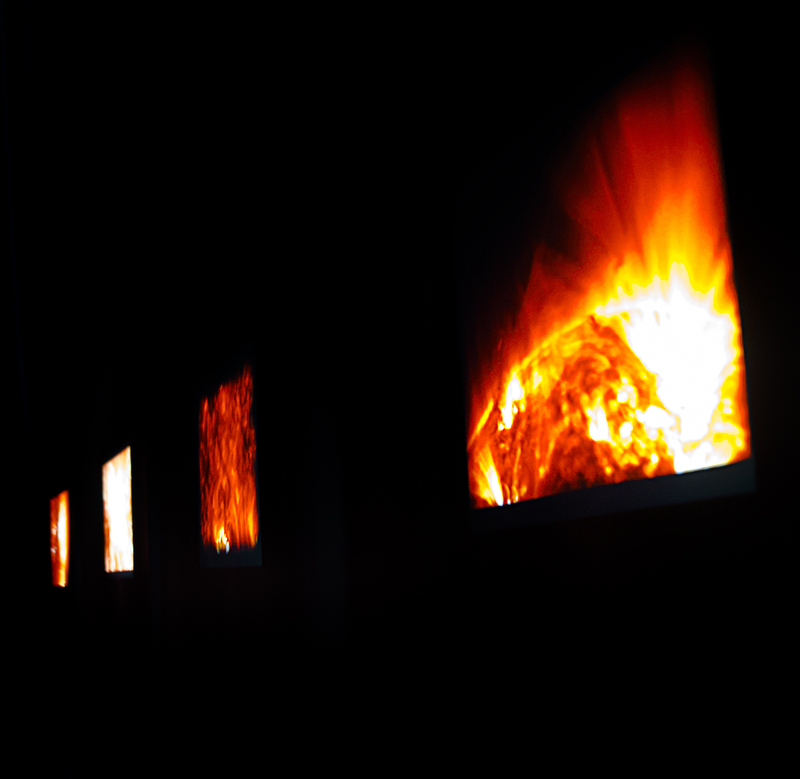 The raw content of this installation comes from photographs collected by NASA’s Solar Dynamics Observatory. 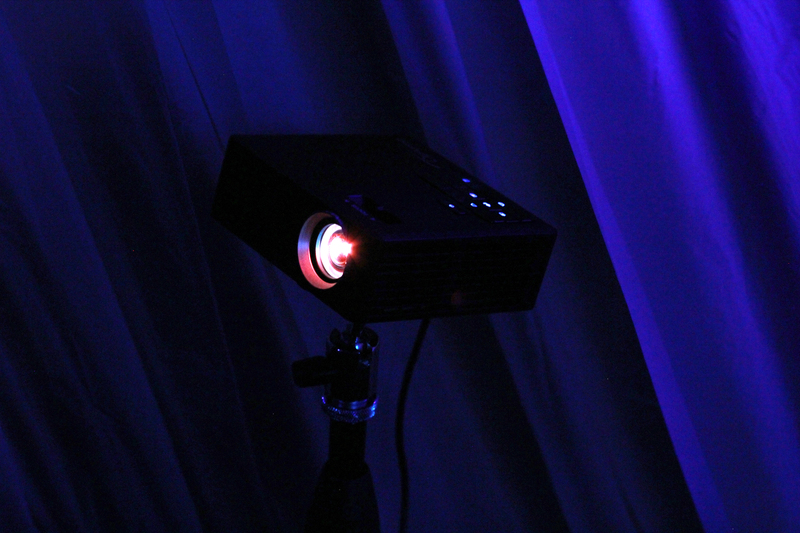 The images were compiled in Daniel Müller’s program JHelioviewer before being processed. Diagram showing projection placement and audience flow for Sol Invictus. 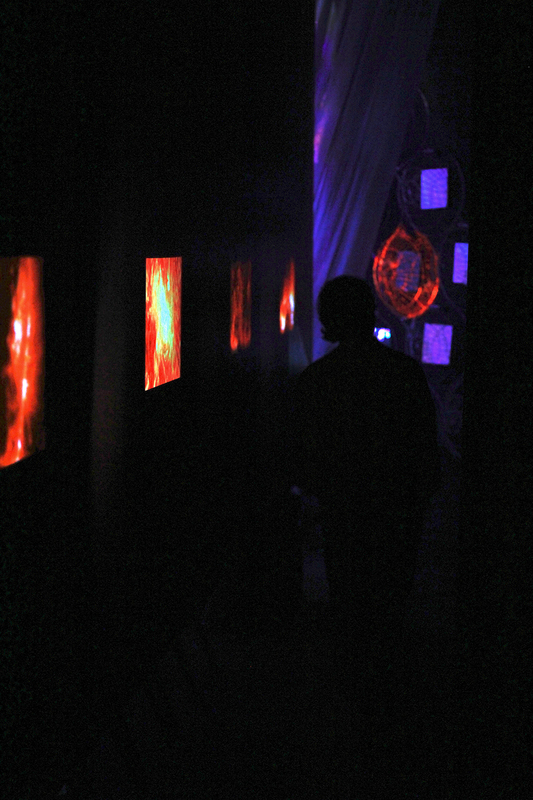 A view of the projections in the darkened hallway. 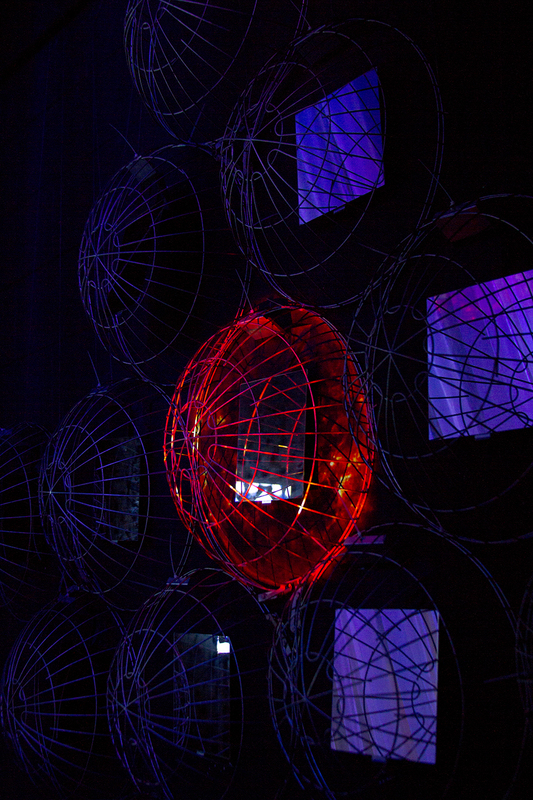 Detail view of the wire mesh hemisphere projection. 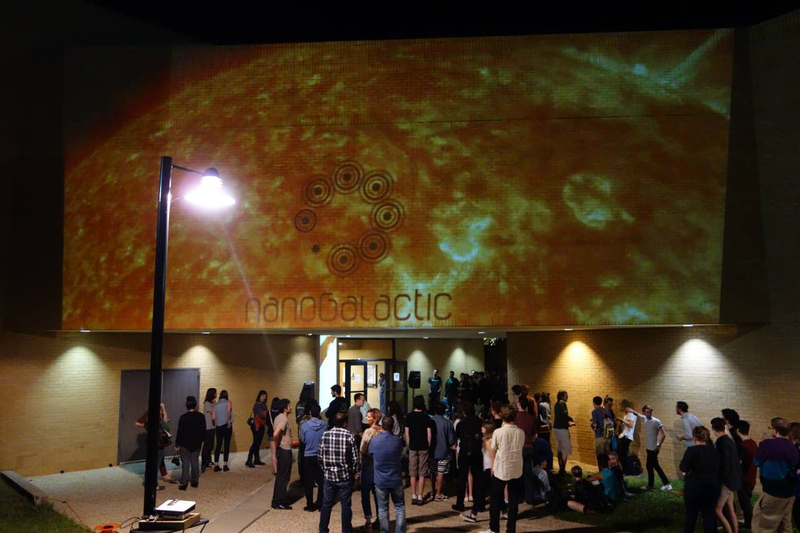 Integrating imagery from Sol Invictus into the wall projections of nanoGALACTIC. 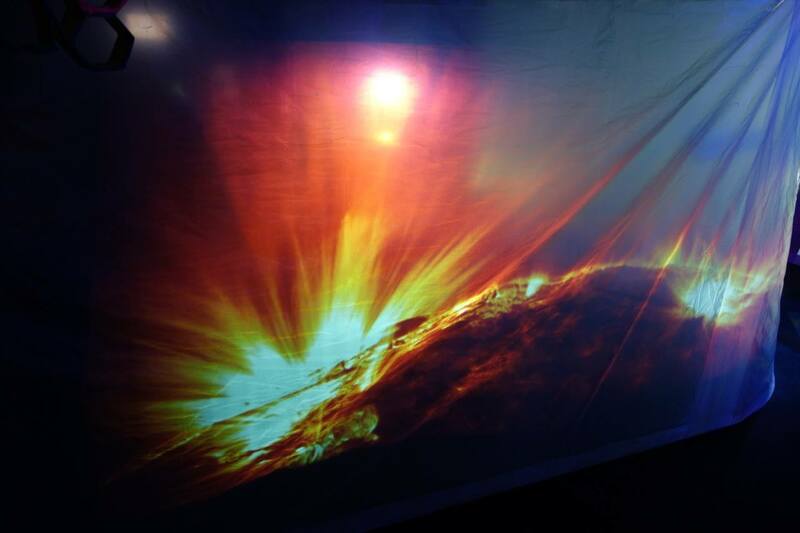 Integrating imagery from Sol Invictus into an outdoor projection marquee. 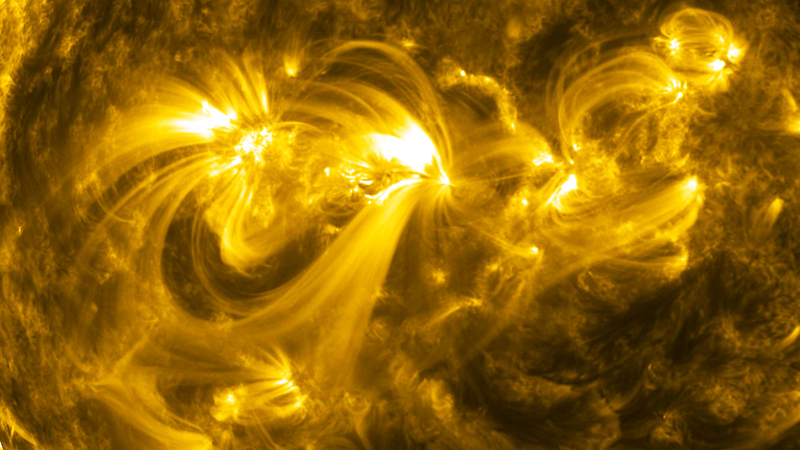 Work in progress showing a detail view of the sun’s corona and transition region at a measurement of 17.1 nanometers. Work in progress showing a detail view of the sun’s chromosphere and transition region at a measurement of 30.4 nanometers.